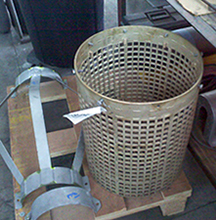 Perforated metal is a form of sheet that is either punched or pressed to produce holes or slots. These openings can be created in a variety of shapes and sizes. Depending on the needs and applications of the customer, the openings can serve either functional or decorative purposes. The metal sheets used to produce perforated metal consist of a variety of materials, including carbon steel, stainless steel and aluminum. For more information see our Spec Information and Open Area Calculations pages. 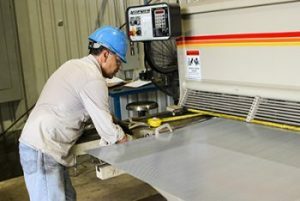 Unlike some other metal fabrication companies that choose to outsource projects, Marco Specialty Steel takes great pride in our ability to keep the entire process in-house. Our 35,000-square-foot Houston facility is equipped with modern punches, presses, rotary-pinned perforation rollers and other machinery that can easily produce the opening size and shape that works best for your applications. We encourage you to submit your drawings and blueprints to our expert technical staff, where we can create custom print takeoffs, then we’ll get right to work on your design. 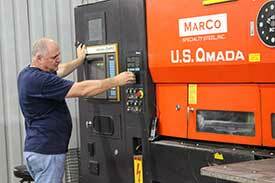 Marco is a full-service steel center that has been providing reliable metal/steel solutions for companies in a wide range of industries for nearly a quarter of a century. We offer perforated metal sheets for sale in your choice of high-quality materials and featuring an assortment of round, square and slotted hole patterns. 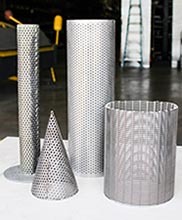 If you can’t find the ideal perforated metal product among our extensive stock inventory, we offer custom metal perforating services that can be tailored to your exact specifications. 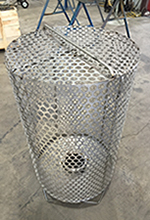 Additionally, we will perform custom punching for your perforated metal. 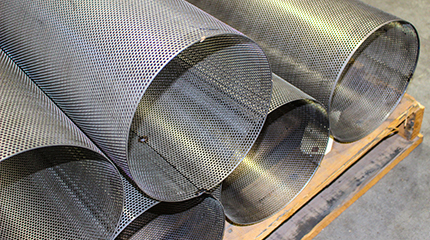 We can handle custom perforated metal fabrication projects ranging from just a few sheets to high-volume production jobs for large manufacturing operations. Industries that can benefit from our turnkey metal perforating services include construction, food and beverage, automotive, chemical and many others. When architects and designers are looking for a unique design for their project, custom perforated metal is a perfect choice. 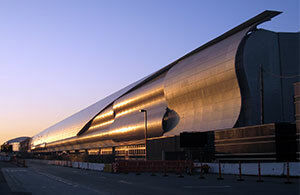 Architectural perforated metal is easily constructed to the clients exact measurements for a perfect fit. 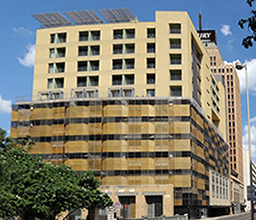 Marco customizes perforated metal to create infill panels, building facades, security fencing and walkway handrails, to name a few. When you choose Marco Specialty Steel for your perforated metal fabrication projects, you get an experienced company that makes customer service a top priority. We are committed to completing and delivering every project in a timely manner so you can keep your tight production schedules on track. Our capable quality control team pays attention to the smallest of details to ensure you get the exact outcome you desire. What’s more, every member of our team is willing to put forth that little extra effort that makes the difference between a good and a truly great product. When it’s time for your next custom perforated metal fabrication project, contact the metal/steel professionals at Marco Specialty Steel. We’ll be happy to answer your questions and provide a no-obligation project quote.